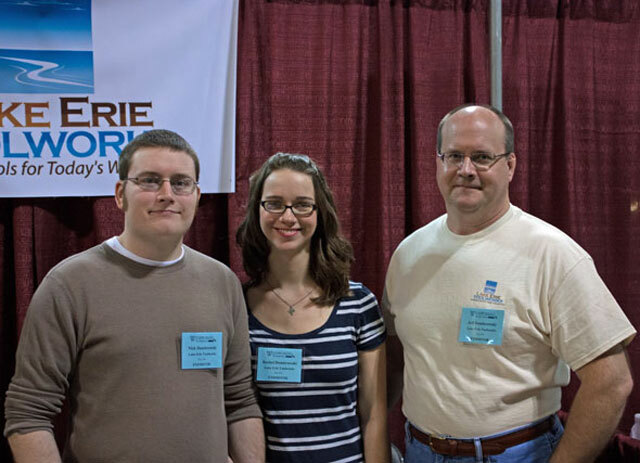 Lake Erie Toolworks was an exhibitor at the recent Woodworking In America 2013 Event that took place in Cincinnati, Ohio on October 18th-20th. 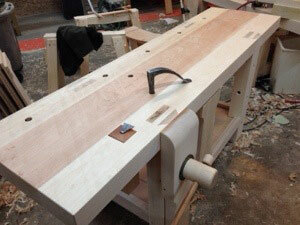 This years show was very well attended with literally hundreds of woodworkers receiving training from the top names in the woodworking industry. The event exhibit area also had many booths from today’s top woodworking tool providers showing their latest wares. 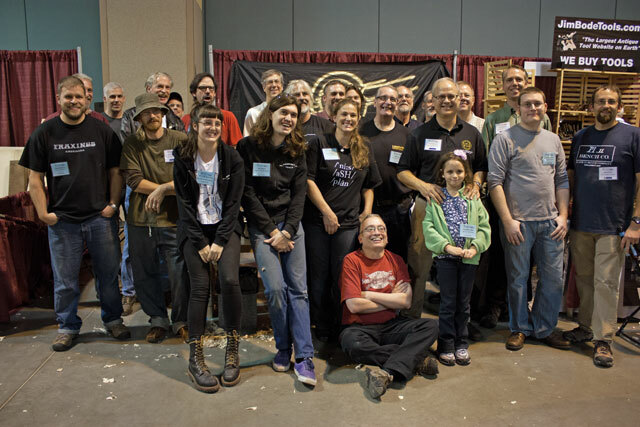 For those of you who haven’t seen us, here’s the team that powers Lake Erie Toolworks at our WIA2013 Event Booth. Starting from the left is Nick Dombrowski (The brains behind Lake Erie), Rachel Dombrowski (Nick’s beautiful wife and office guru) and Jeff Dombrowski (Nick’s father and operational support go-to guy). Our Lake Erie booth had many visitors and it was great to meet with so many woodworkers to show them our wooden vise products first hand. 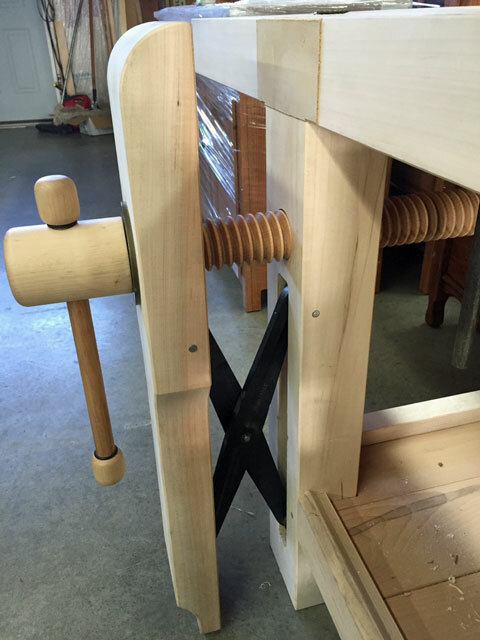 Some of the consistent comments we heard were: it’s amazing how large the vise screws are, how fast and smooth the vise screw action is and how strong the clamping force is. The overall experience can best be summed up as “fast as can be, smooth as silk and strong as an ox”. Now we have our work cut out for us to try and capture such a “tactile” hands-on experience into a “visual” format for our website and videos and also to do it justice. One of the primary benefits of the WIA2013 Event was that you had a large gathering of the finest woodworking industry leaders and professional tool makers available that you could speak with first hand. Names like Chris Schwarz, Roy Underhill, Tom Lie-Nielsen, Robin Lee, Peter Ross, Ron Hock, Mark Harrell and Don Williams were all on hand to talk with the event attendees. It is rare that you have such a brain trust of talent present in one place at one time but here’s a picture that captures this point for your enjoyment. This all said, it was a very successful event for us and we want to thank all of our many customers for your continued patronage and supportive comments and suggestions as we strive to bring you the best products possible.